The development team behind a flat iron-like tower for a triangular site near the intersection of West Georgia Street and West Pender Street has put their project on hold. 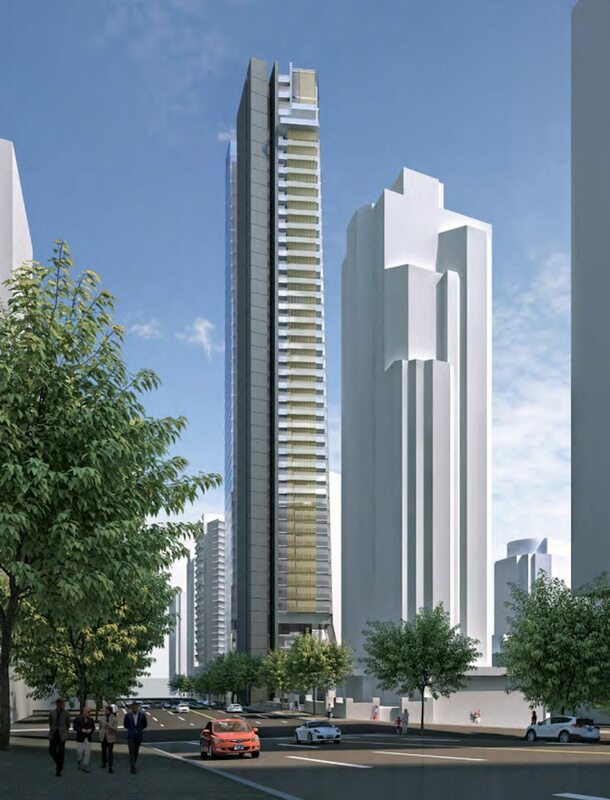 Brilliant Circle Group’s rezoning application for its proposal to build a 46-storey, 514-ft-tall residential tower at 1445-1455 West Georgia Street was withdrawn from the list of applications that were scheduled to go through a public hearing on Tuesday. According to project architect James Cheng, there is every intention to continue with the rezoning, but certain aspects of the proposal – specifically the level of community amenity contributions (CAC) in exchange for the type and level of density – are being re-evaluated due to fluctuating residential market conditions. 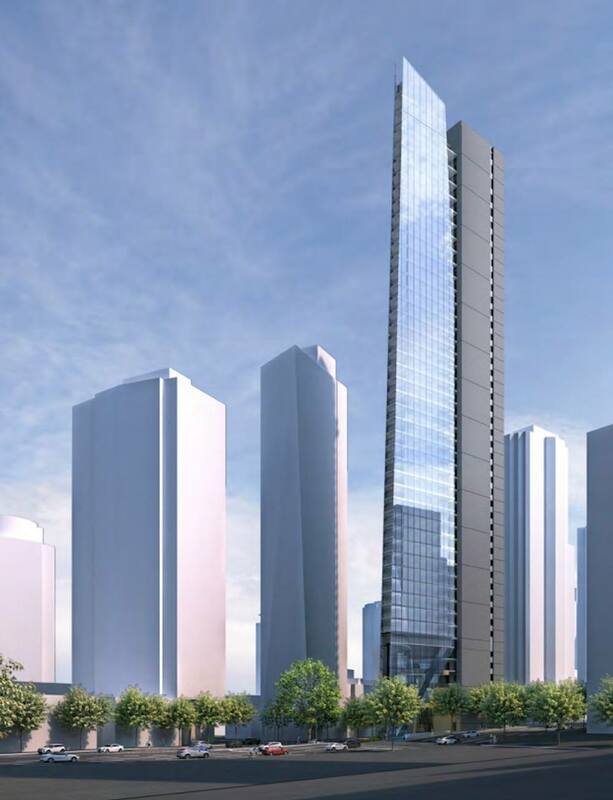 “We are not withdrawing the project from the rezoning process, we are only withdrawing our current application so that we can have a better understanding of the current changing market demands in relation to the current CAC valuation,” Cheng told Daily Hive. There has been a downturn in residential sales in Metro Vancouver over the past two quarters, particularly within the higher-end and luxury markets including condominiums. The pre-sale absorption rate for newly released units fell from 94% in January 2018 to just 50% in June 2018, and the pace of regional sales has seen a slowdown from 79% in the first quarter to 69% in the second quarter. At the same time, the City of Vancouver’s CACs have risen significantly, adding to the buyers’ purchase cost of a unit. CACs go towards City-mandated projects that create new parks, plazas, community spaces, recreational facilities, public art, childcare, and social housing. 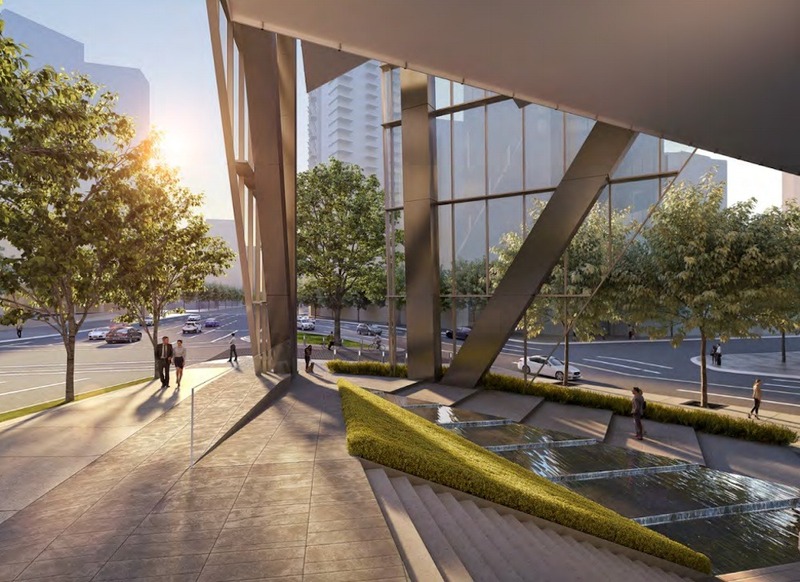 For instance, last year’s City approval of Westbank’s Butterfly tower on the parking lot of First Baptist Church at 969 Burrard Street requires the developer to pay about $100 million in CACs, including a $63-million cash contribution to the municipal government and $21.7-million worth of in-kind value towards the restoration of the heritage church. These combined CACs have increased the project’s overall total construction cost by an estimated 33%. 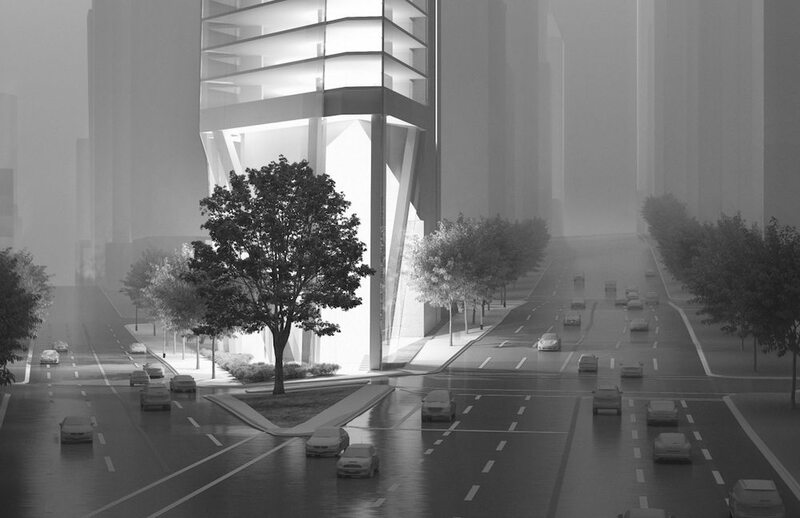 As for Brilliant Circle Group’s tower proposal, which is partially inspired by the form of an obelisk, it called for 119 homes, a total floor area of 261,721-sq-ft, and 228 vehicle parking stalls. 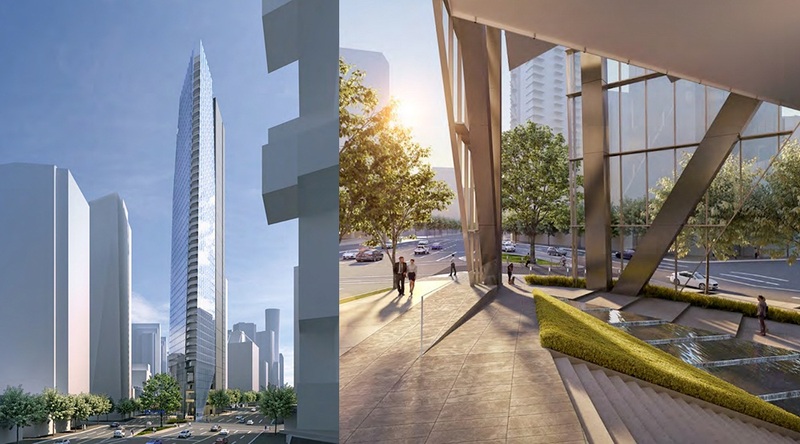 “Our approach to the design for this site focuses on two key components; creating a bold tower statement and strengthening the public realm… [It] is a special site on Vancouver’s most prominent ceremonial streets and merits a fitting solution as a gateway site,” said Cheng. 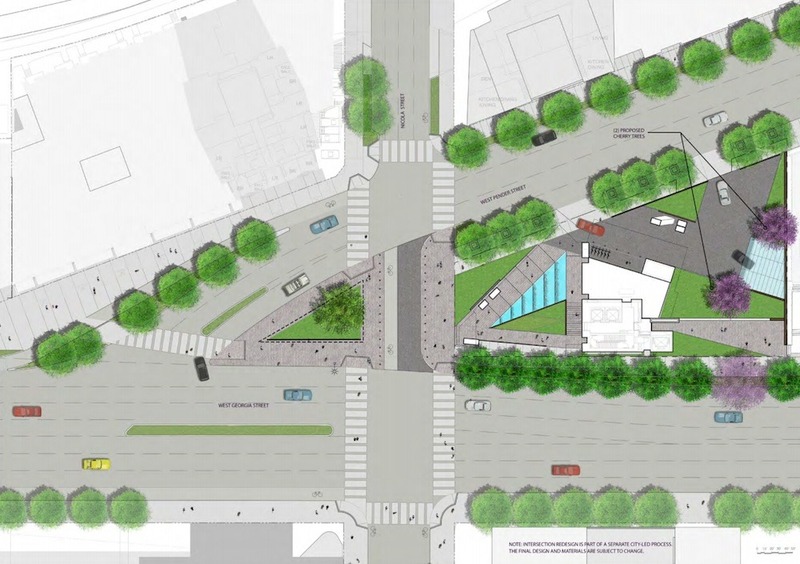 In addition to a significant CAC cash contribution, its built-in community benefits include a large covered outdoor space and a major public realm improvement consisting of a complete redesign of the adjacent triangular flag plaza.